Based on the characteristics of existing deposits in the EU, research within the project “Real-time optimization of extraction and the logistic process in highly complex geological and selective mining settings” is focusing on highly complex deposits where selective mining is required. According data scarcity, the resource model is associated with a significant level of uncertainty. Nevertheless, mine planning decisions are taken and executed based on the initial model. Usually model based predictions and actual performances are only compared at the end of the production chain, where the opportunity for corrective actions is no longer available. 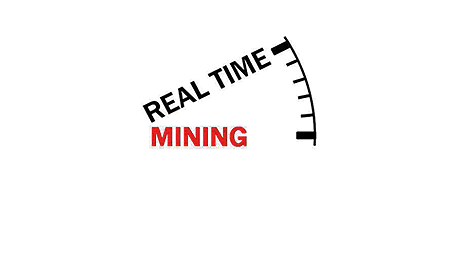 The key concept of the Real-Time Mining project is to change this discontinuous process to a continuous closed-loop. The Institute of Mineral Resources Engineering is involved in several WPs of the project and leads WP 8. Therefore, rapid and real-time optimization methods in the context of long- term mine development, short-term sequencing, production control and auxiliary processes were developed. 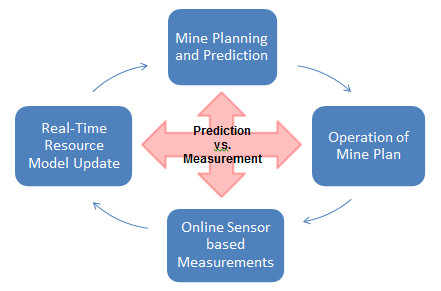 The mining process and the value chain of selected mines were analysed in detail and simulated using appropriate software. At defined process steps (e.g. fleet scheduling) optimization algorithms were developed and implemented to the simulation. Staff from the MRE evolved a Long-Term- and Short-Term-Optimizer taking into account geological uncertainty of the deposit information. In addition, new concepts for optimizing the drilling & blasting cycle and roof support have been progressed. 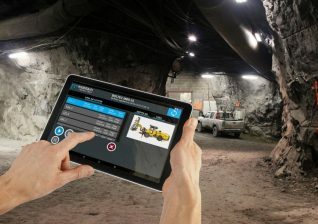 In WP 9, the long- and short-term optimizer are validated with real data from an underground mine. For the Long-Term Optimizer, focus was set on long-to mid term mine planning, thus the NPV is chosen as the key economic parameter. Different tools for integrating uncertainty into long-term mine planning procedures were presented and discussed, in order to evaluate real-time data’s potentials. Different approaches showed that expected uncertainty in the resource model can lead to changes in ore boundary definition and thus deviations in stope layout, stope location and stope sequencing. Therefore, taking into account uncertainty results in a more accurate project evaluation and prevents under- ore overestimation. Staff from the MRE also developed a short-term optimization tool that works in the framework of the long term mine plan generated by the Long-Term Optimizer. By simulating downstream processes, a more detailed knowledge about quality distribution in the mined material as well as further assessment data can be gained and used for process optimization. The Short-Term Optimizer integrates the updated resource model as well as equipment position data and material characteristics in real time. Underground mining processes are scheduled on a daily basis regarding constant quality and quantity for the processing plant. New concepts for optimization devices in unit operations and auxiliary processes in underground mining were investigated. The aim was to obtain better process efficiency by integrating real-time data into a managing system. Therefore, research on process improvement potential as well as technological state of the art was conducted first in order to get a better understanding of where new concepts would be outstanding. From the proposed areas, ventilation on demand, blast design, energy management and rock support, two processes were seen as potentially promising for optimization: blast design and rock support. Results of previous investigations show, that the overall Mine to Mill cycle has to be analysed in order to reach holistic efficiency improvements. To achieve the cost optimum for the whole underground mining cycle, an ideal rock fragmentation after blasting is chosen as the key parameter for a drilling & blasting optimizer concept. For the bolting process and long-time roof support, the safety aspect is the driving force for an optimizing concept. Roof movement over time and rockfall incidents are parameters which influence optimizer decisions. Two optimizer concepts were developed, namely Drilling & Blasting Optimizer and Bolting Optimizer. Both concepts contain certain specifications about which processes require sensors and which data have to be measured. The concepts also formulate the demand on algorithms and their specific roles in the optimizer. Both optimizer models present an outlook of the processes in underground mining, which hold potential for optimization. The aim is to have the operational stages in mining realized more holistically, in order to approximate a real-time Mine to Mill process optimization. Effort is taken by research and industry to various extent for the individual steps of the optimizer models. The Real-Time-Mining project is funded by the Horizon 2020 program of the EU (Project Nr. 64989).